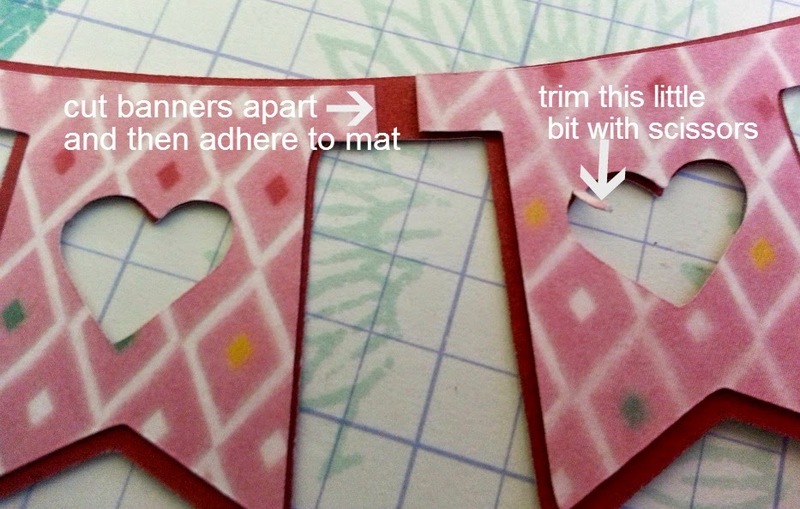 I cut my mat in a ruby 1/4" bigger than the original. And it just doesn't work. Now if you use cricut craft room you can probably make it work. I, however have not mastered the craft room, so I have to do it my way. Cut the original banner apart. Leave a bit of a space between each one and adhere to mat. You will end up with a banner like the one above. and adhere it so it covers the "cut" space. A perfect piece of eye candy, ready to use. Hope you found this tip helpful. 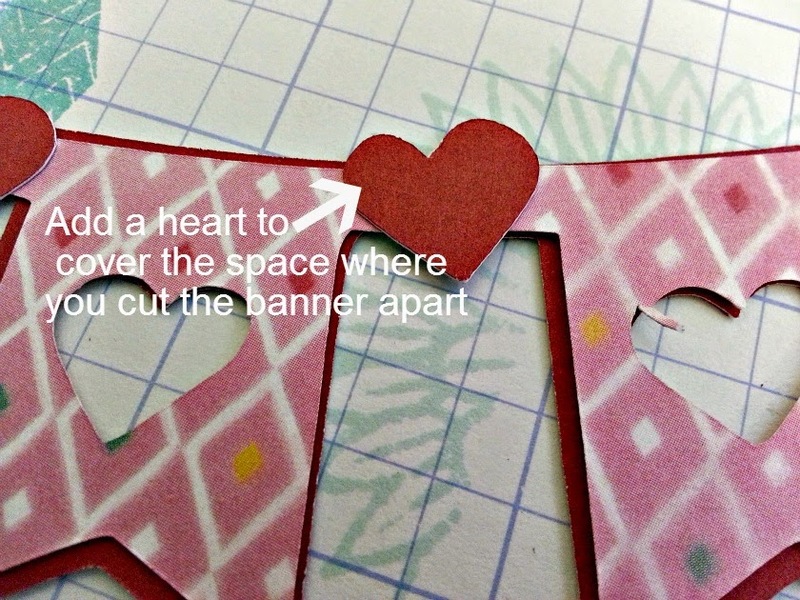 Excellent tip, and your banner came out so cute! I doubt you'd have any trouble with CCR--give it a try.